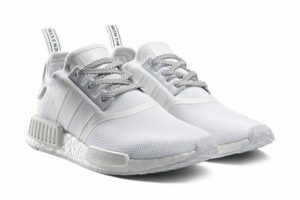 The Adidas Womens Running NMD R1 stands out with an innovative look. The shoe is a bold visual update to the OG NMD silhouette. 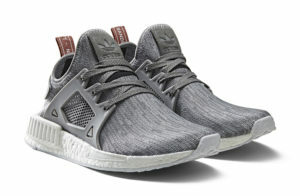 The shoe applies a sock-like stretch mesh upper and Adidas’s most responsive cushioning, the Bootst™. Wearers are very pleased with the cloud-like walking experience and the energetic sensation from this shoe. It has a competitive price and customers have bought the shoe for its style and functionality. 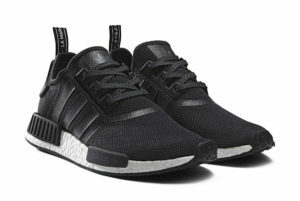 The excellent comfort and looks make users enjoy the NMD R1 so much that they want to take it in at every opportunity! The shoe is suitable for running and workouts; and it is the shoe to bring with you when you explore the city on foot. 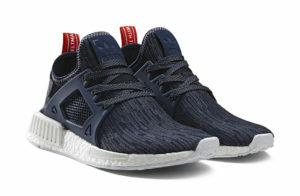 It is also a running shoe that easily matches with your casual clothing. Great comfort; it feels like walking on clouds or in the air. The patent Boost cushioning gives a great responsive ride. It is durable, giving high traction on trails. The shoe comes in basic colors, easy to go with any outfits. The black shoe with the black sidebar is super hot. The shoe looks even better than in the photos on the website. The shoe gets lots of compliments for you. A consumer received a fake shoe from an online seller. It is limited and sizes sell out quickly. 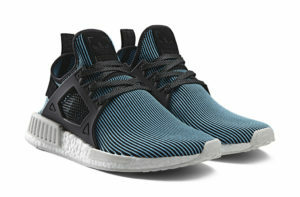 The NMD R1 is a piece of innovative footwear built to combine fashion and science. The modern 3strip fashion running shoe comes with Adidas’s ambitious technology for performance, the Bootst™. The revolutionary cushioning delivers the highest energy return; the more energy you give, the more you get. The best thing is, the shoe looks great and is priced competitively. Many users come and get second pairs; it makes people want to take it everywhere and show it off! Many users find the shoe goes slightly large. Some people went 1/2 size down and it appeared a bit tight in the beginning but it loosened up quickly. For some users with narrow feet, the shoe is a bit wider but it feels very comfortable and doesn’t bother them at all. Some wearers also suggest going with your usual size if you prefer having extra room in the toe area. If you have wider feet, you may enjoy your usual size more. If the shoe is mainly for running, then it is also good idea to order your usual size. Material does matter. The shoe uses durable dual-layer mesh uppers with reflective accents. The upper utilizes Adidas Primeknit, providing new levels of strength, flexibility and stability. Users find the shoe’s unique detailing very attractive. Other features include the low-sheen 3-stripes, sculpted TPU eye-stay panel, easy lace-up closure, TPU heels and the taps for easy entry. 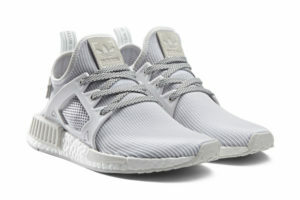 NMD shoes feature a BOOST midsole that delivers a durable, shock-resistant, responsive sole. The boost™ is Adidas’s most responsive cushioning ever. The more energy you give, the more you get. The rubber outsole is rather light and designed for high traction on trails.